In the days before air conditioning, a cold cocktail was the quickest way to cool down -- short of dunking your head in a bucket of ice water. 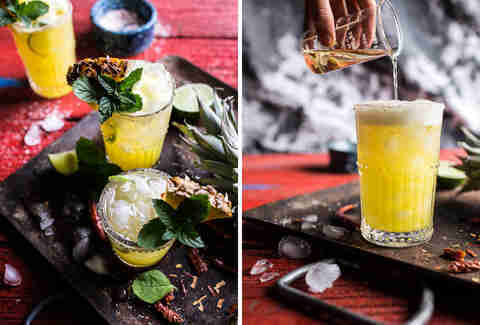 Even though we have technology on our side now, these refreshing drinks remain the best remedy for long, hot summer afternoons when the only thing that will do is the mingling of citrus, sugar, soda, and spirit. Everything about this drink is tropical. 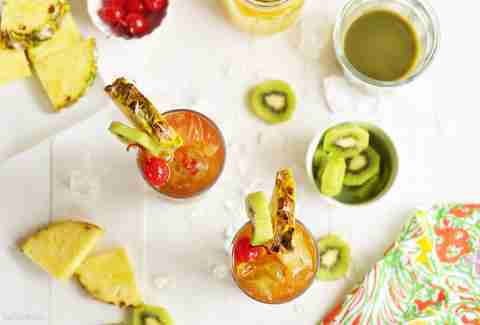 The pineapple is sweet, the kiwi is tart, and the rum just brings it all together. Recipe here! This light bourbon cocktail was made with barbecue on the brain. 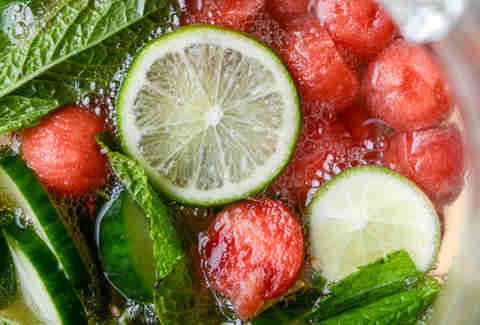 Think of it as a spicy watermelon cooler with a hint of lemonade and mint that goes great with ribs. Get it here. 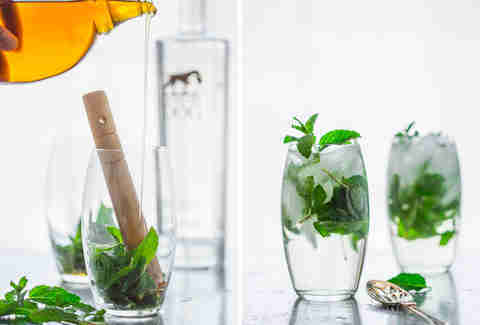 Smooth vodka lightly sweetened with maple is only made better with a mint bouquet. Recipe here! Green Tabasco is the secret ingredient in this refreshing spritzer. 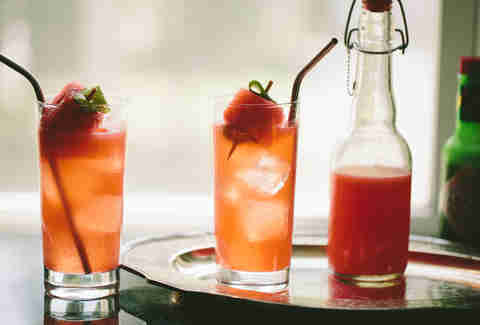 It’s just enough zing to bring out the sweetness of the watermelon. Find it here. Something about chilled, spiked melon makes it the perfect cooler on a hot day. Get the recipe here. 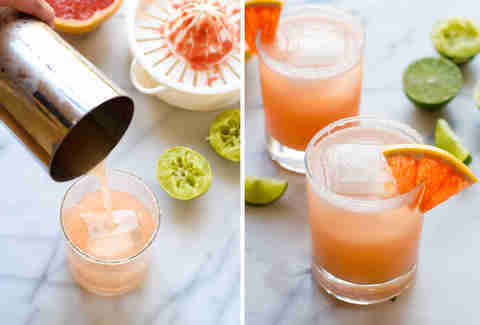 A refreshing mix of tequila, grapefruit, soda, and lime, Palomas fare just as well at an outdoor dinner party as they do at the beach on a 90-degree day. The recipe is right here. Bourbon muddled with blackberries is subtly sweet. A splash of wheat beer lends a caramel-like complexity, and lots of refreshing fizz. Make it here. 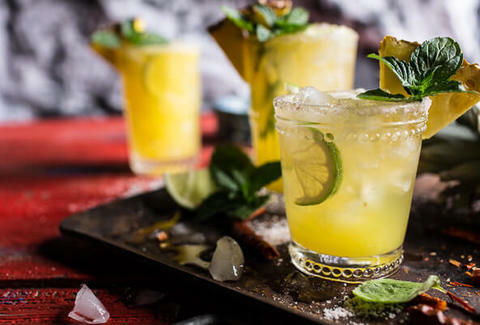 It’s kind of like a beer margarita, but a lot easier, and spiked with boozy pineapple. Plus, it’s almost as much fun to look at as it is to drink. The recipe's here. 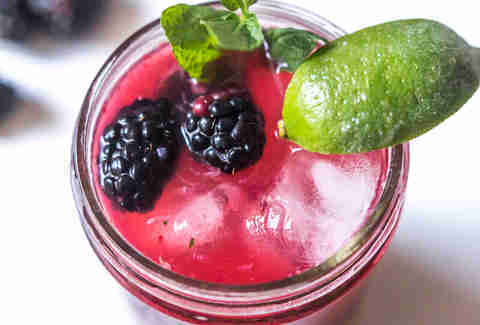 A lip-puckering blend of rum, lime, and mint, this concoction gets a sweet kick from fresh blackberries and a welcome bubbly lift from seltzer. Get it here. This simple mix of freshly squeezed lemons and beer achieves the perfect ratio of effort (minimal) to refreshment (maximal). Find the deets here. 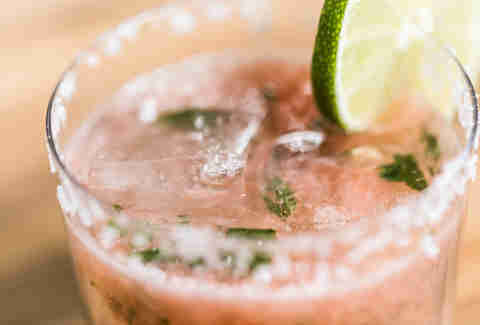 Admit it, nothing tastes better than a frozen margarita at the height of summer. The mix of slushy booze and sugar is hard to beat. The fresh grapefruit juice in this one adds extra-citrusy tartness. Find it here. Do you like sweet tea? Of course you do. Do you like sweet tea with alcohol? Do I really have to ask? This julep has all of the charm of that tall glass of sweet tea you drank when you were a child, plus some grown-up sophistication. Here you go. Cucumbers have a way of infusing every drink they land in with refreshing, crispy flavor. This sangria is no exception. Watermelon balls make it officially taste like summer. Make it here.